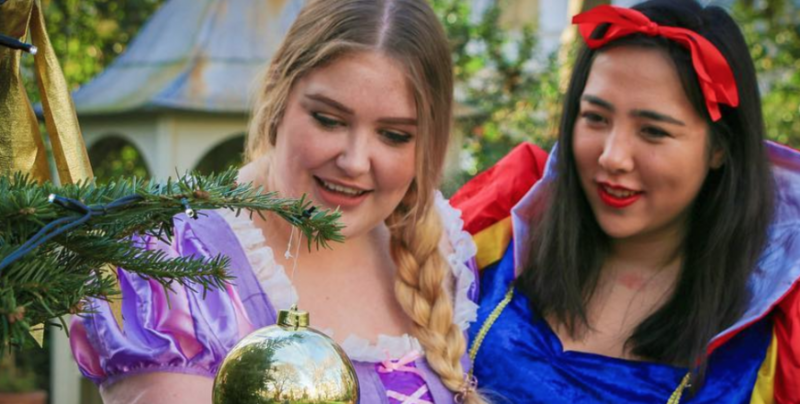 So there was an article written about us being fat (and a Scarred) Disney princesses on a health website, posing it as a question up for debate. It makes me think why every other article written about me has been written as a statement but this was a question. But there was something else that got my attention, throughout the article, they called us “fat” even in the title, they called us “fat” princesses. Amy @amyeloisew and I are not “fat”. Fat is not a dirty word. I want to address the fact that people will assume a fat princess will promote obesity? It’s going to come since people also think fat people existing promotes obesity. Representing bodies is simply that, representation. Fat people deserve representation because fat people exist and pretending in your cartoons and tv shows that we don’t exist has never helped anyone. We don’t need more shame and silence around fatness, we need to be seen, heard, represented and destigmatised. I also believe everyone deserves to feel beautiful. Yes, beauty should not matter but in our world it does and I personally believe people stop caring whether they are beautiful, when they feel beautiful so I want to make it a priority that everyone FEELS beautiful. Yes, even fat people. Yes, even unhealthy people. And no, those two are not equivalent.